Six-figure student loans can be a terrifying burden, and one of the top challenges for many law grads. But even if you’ve fallen in arrears, you still may have options to turn your financial situation around. 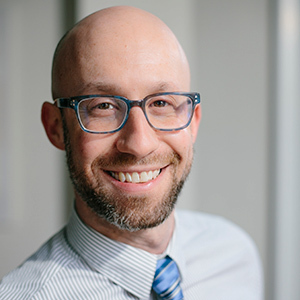 In this month’s Asked and Answered, the ABA Journal’s Stephanie Francis Ward speaks with Adam Minsky, author of Student Loan Debt 101. As an attorney with a practice devoted entirely to helping student loan borrowers, Minsky has had many clients who’ve felt hopeless about their financial futures. In this podcast, he shares tips and tricks for managing debt and regaining control of your personal finances. Adam S. Minsky is an attorney in Massachusetts and New York with a practice devoted entirely to helping student loan borrowers. Minsky provides counsel, legal assistance and direct advocacy for borrowers on a variety of student loan-related matters, including repayment management, default resolution and servicing troubleshooting. He blogs at Boston Student Loan Lawyer and has published three handbooks: Student Loan Debt 101, The Student Loan Guide for Parents and Cosigners, and The Student Loan Handbook for Law Students and Attorneys, published last year by the ABA.